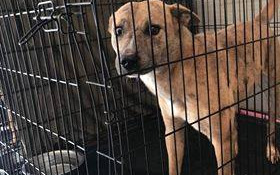 Approximately 130 cats and dogs that were displaced when their shelter in Bainbridge, Georgia was destroyed during Hurricane Michael are now lodged in the Carroll County Animal Shelter. Earl's Hope Rescue - Extraordinary Animals Rescued Loved And Secure are taking in several dogs to help . FUNDS are needed to help vet Molly ..no amount is too small. Goal $500.00 dollars no amount is too small . Please honor your pledge for Molly. All donations go directly to the rescue to be used for vetting, boarding and transport. We are 501c3 non profit organizatiion. As always ..THANK YOU for your support. We could rescue without your support.